Yes, you can do it! Here's how to get started on your new running plan. A common fear for most people planning to start a running routine is that they’re not fit enough. That they’ll be left red-faced, coughing and spluttering as other, more experienced runners glide by effortlessly in their too-tight Lycra shorts. Guess what? This is highly unlikely to happen if you put in the right preparation. It’s all about starting small and building up slow. Even if you set yourself a goal of running for two minutes and then walking for three, eventually you will increase your running fitness and be able to run for long stretches at a time. Running has been described as akin to medicine for good reason. Many studies have shown that a regular running routine can help prevent obesity, heart disease, type 2 diabetes and a whole range of other illnesses. Plus there’s no denying that running just makes you feel good! It releases endorphins and helps reduce stress. 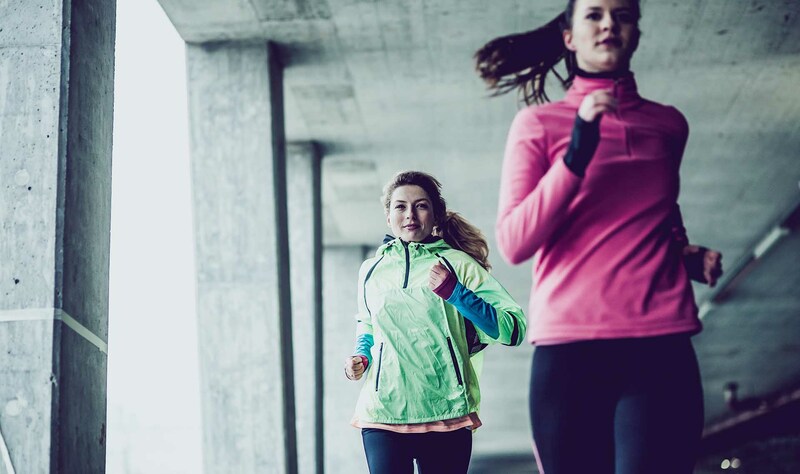 Learn more about the benefits of running. Before you get started, it’s well worth visiting a specialty running shoe store. The staff will fit your shoes and can also watch you in action to ensure they’re the best option for your stride. If you’re choosing on your own, a simple rule of thumb is to make sure your heel fits snugly, while you can still slide your foot out when the shoe is laced up (but not tied). Also, there should be the space of around a thumb’s width between your longest toe and the end of the shoe. Learn more about how to choose the best running shoes. Eating something small before your run can help keep you going for that little bit longer. An orange is a great option as it provides energy and research suggests vitamin C can play a role in muscle recovery; dried dates contain carbohydrates and potassium which may also aid with muscle function; and a milk-based drink is a good idea if you’re running in about 30-60 minutes. Learn more about food for runners. Quite a lot actually. Warming up helps prevent injury by loosening your muscles and joints. It also raises your heart rate gradually so you can create a rhythm that’s easier to sustain. A simple pre-run warm up could involve walking for around three minutes and then slowly increasing to a jog for another two. Learn more about preventing running injuries. When you’re coming to the end of your run it’s a good idea to slow to a jog for the last few minutes. Once you’re back at home try and eat a small healthy snack like a banana, handful of berries or a piece of protein. Keep your fluids up and stretch any areas that feel tight or sore – your body will thank you for it the next day. Learn more about post-run recovery, and cool down with our free stretching guide. As with any exercise routine, it helps to have set goals to work towards. Signing up for a fun run like the 2017 Medibank Melbourne Marathon Festival this October will help motivate you to keep pounding the pavement, whichever distance you choose. Learn more about the psychology of goal-setting. To help you prepare for your fun run, or just to support you along your fitness journey, download our free training guides. Choose your beginner running plan.